Veterans Day is this Sunday, and since we’re fortunate to have a fair number of veterans as customers, it’s fitting that we honor those who have served - and are serving - in our military. In 1938, Congress declared November 11 of each year a legal holiday to “honor America’s veterans for their patriotism, love of country and willingness to serve and sacrifice for the common good.” The date was picked because World War I officially ended on June 28, 1919, but an “armistice” (temporary end to hostilities) went into effect on November 11, 1918. That’s why we celebrate on November 11, and that’s why the holiday was originally called Armistice Day. The name was changed to Veterans Day in 1954 and became a way to pay respect to American veterans of all wars. Now 55, Van battled addiction in his younger years. He considers himself very fortunate to have gotten help when he needed it most, and Operation Surf has been a way for him to give back. “This world needs more empathy,” Van said. “I said ‘yes’ when someone asked me for help.” Based on honor, integrity and transparency, Operation Surf attracts veterans from all over the country to help them heal from the pain and trauma of war. 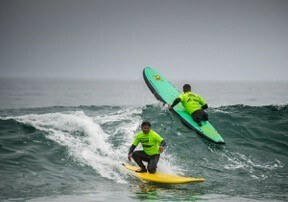 Week-long sessions are held each year in Santa Cruz, Huntington Beach and here on the Central Coast of California. And for the past three years, Corwall, England has played host to a week of Operation Surf! I invite you to take a couple of minutes to watch this short and very touching video… it shows how Van is using surfing to help so many brave men and women - https://youtu.be/l8W1yvrPA-U. 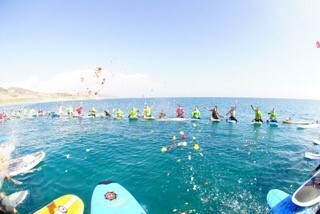 For more info, the Operation Surf website is www.amazingsurfadventures.org. In honor our veterans, Last Wave is introducing the new “Weber USA” tee shirt for a limited time only! Last Wave will donate two dollars for every Weber USA tee sold to Operation Surf, so you will be helping a very worthwhile cause with your purchase! Check it out! We live in very challenging and divisive times, so enjoy your Veterans Day holiday, take a moment to honor those who have served our country, and live the surf lifestyle!